This is a beautiful necklace and already I have had several compliments about it. I enjoyed the ease of ordering and prompt delivery also. received the necklace....love it. Thought it may be a little bit larger, and wish chain was shorter. I am a very short person. My neighbor gets my mail for me,bro not sure exactly when it arrived. I love my necklace. My youngest grandson has this tattooed on the side of his ribs and I just loved the verse so was glad to see it in a necklace. He was burned very badly back in 2013 and had this verse and a cross on his ribs. The fire went up to the cross and verse and burned around it. It didn't even touch it. I say that was Gods hand helping him. I love my two Philippian necklace I ordered. One for my BFF and one for me. 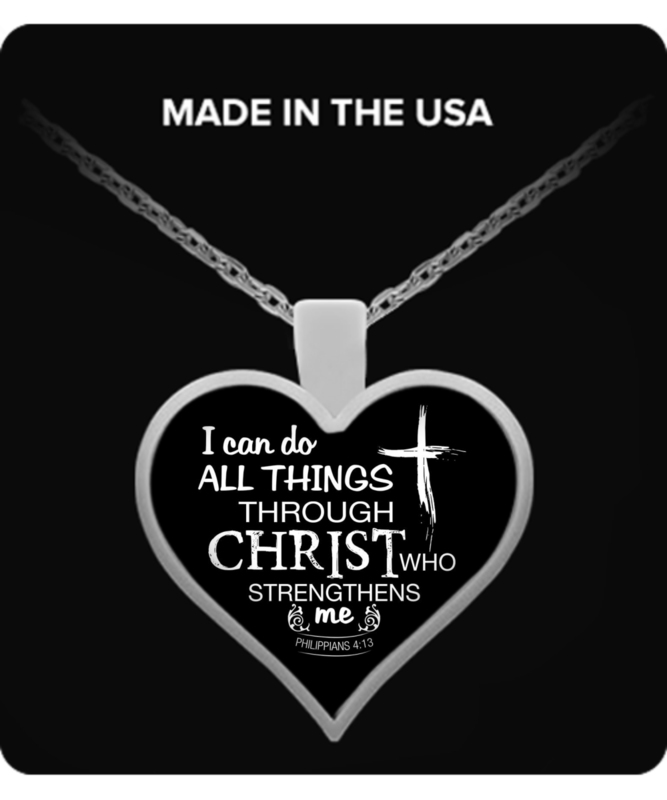 I was a bit scared to order off of facbook but since the necklaces said exactly what I believe and they were made in the USA I took the chance. I am very glad I did. Th necklaces are well made and the chain is extra long (I can take it off over my head without unfastening it). Because the chain is long the pendant hangs just right the length. I cannot say there is even one thing about this necklace that I can find fault with. Love the necklace and the long chain. Very pleased.